The sub-four-metre SUV segment has been all the rage in recent years and it goes by the account of manufacturers offering what the customers want in an attractive price bracket. For any segment to be a success, it has to feature competitive products that can differentiate themselves from one another. It is the same case with the subcompact SUV space led by Maruti Suzuki Vitara Brezza. It took the mantle from EcoSport when first introduced in February 2016 and stayed there ever since by posting a massive monthly average of well over 12,000 units. In March 2019, the scenario did not change as the Vitara Brezza recorded 14,181 units at YoY growth of 8 per cent. As has been the recent scenario, Tata Motors’ Global NCAP 5-Starer Nexon continues to play the second fiddle and last month 5,616 units were retailed at a huge YoY surge of 27 per cent. Mahindra’s latest attempt at the sub-four-metre SUV space has indeed paid off as the SsangYong Tivoli based XUV300 beats EcoSport for the second month in a row with 4,742 unit sales. The Ford EcoSport, on the other hand, posted 4,241 units in March 2019 with YoY decline of 21 per cent. 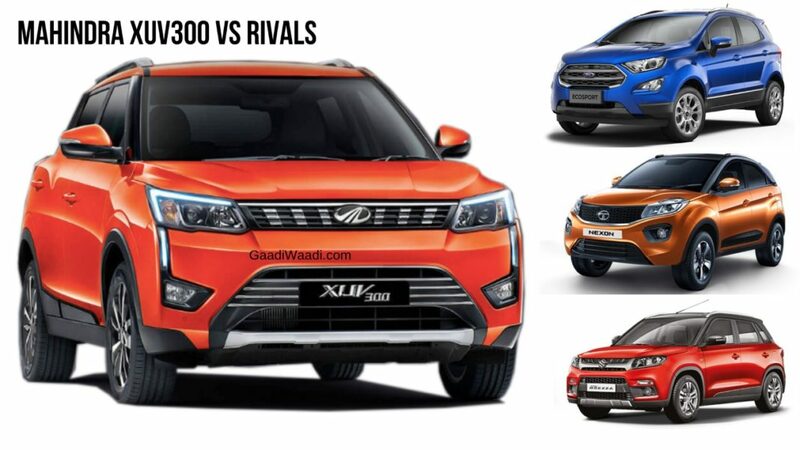 It is interesting to note that the segment’s volume has only broadened with the arrival of the XUV300 as the Vitara Brezza, Nexon and EcoSport were at their top level. Hyundai will be aiming at eking more from the segment with the upcoming Venue as 7,000-8,000 units are reportedly targeted every month in its first year. 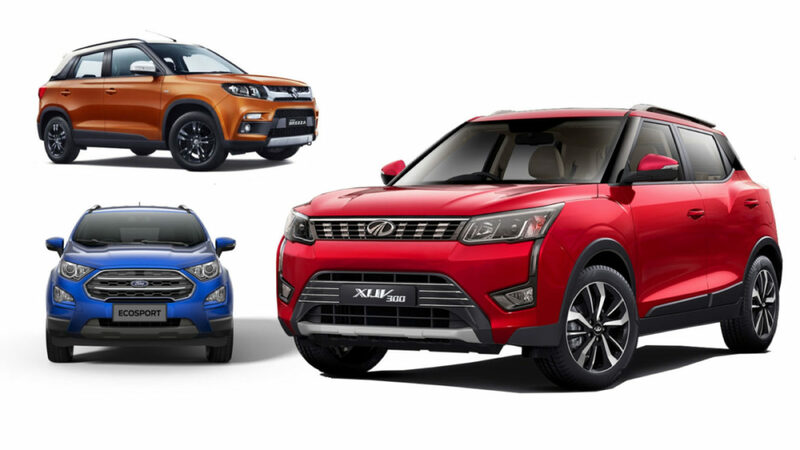 With five different automakers tussling it out, the subcompact SUV segment will become one of the most tightly contested in the Indian market. The Venue is making its global debut at the 2019 New York Auto Show on April 17 before going on sale in India in the middle of May with several segment-first connectivity based features. The Venue will be powered by a 1.0-litre turbocharged petrol engine developing 100 hp and 172 Nm and is expected to offer DCT optionally. Two other powertrain choices for the international markets are 1.4-litre petrol and 1.4-litre diesel with either manual or automatic transmission.